The Dowling Catholic Maroons have a long history of State Championships and podium finishes. This year they will be returning their 2nd through 5th runners from the 2017 Championships. Their biggest challenge will be making up for the loss of Matthew Carmody who will be competing for the Fighting Irish in his collegiate career. Can junior Will Ode lead the Maroons to another State win after a 3rd place finish last year? One major athlete to watch for this year is Burlington transfer Cole Schroeder who finished third on the Maroons' team at the Nike Heartland Regional meet, leading to a 3rd place finish overall- beating 2017 State Champions Pleasant Valley by 41 points. Pleasant Valley is coming off a big win in 2017 with a score of just 57 points. With the loss of their top 2 finishers from the 2017 team, PV will have a big challenge in front of them. With a split of 1:01 between their first and seventh runners last year, PV is still pretty stacked coming back. Can they make up for the loss of Konnor Sommer and Anthony Pena, who went 4th and 11th last year? With the team being led by now senior Gavin Smith who finished 13th last year, they've definitely got a shot. 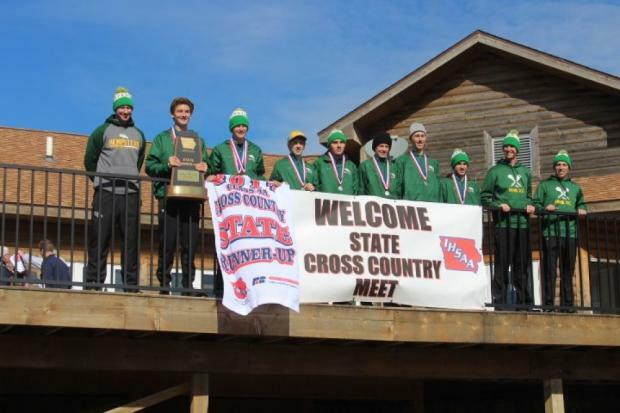 Dubuque Hempstead tied with Dowling last year at 102 points but won the tie with their 6th runner, Matt Schatz who finished 54th. With the loss of their top 2017 finisher, Addison Kalb, Hempstead will definitely feel the weight of pressure to make up for his graduation. The good news for them? The rest of their top 7 is returning this year with four of them as seniors. They certainly have a big chance at challenging Pleasant Valley for that second spot with their eyes on the Maroons for that big State W.